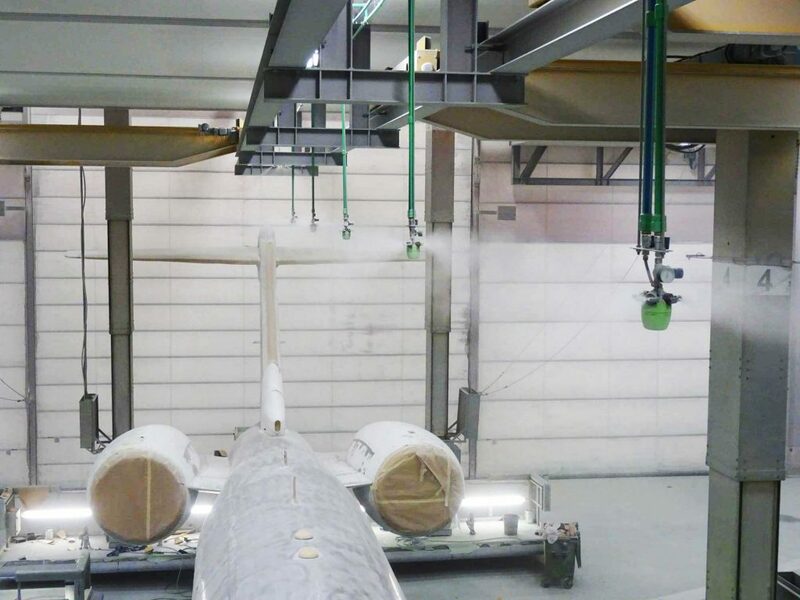 Dust suppression in MRO hangar - IKEUCHI EUROPE B.V.
Sanding and painting in the same hangar causes several issues for MRO paint shops, one of them being dust particles in the air. 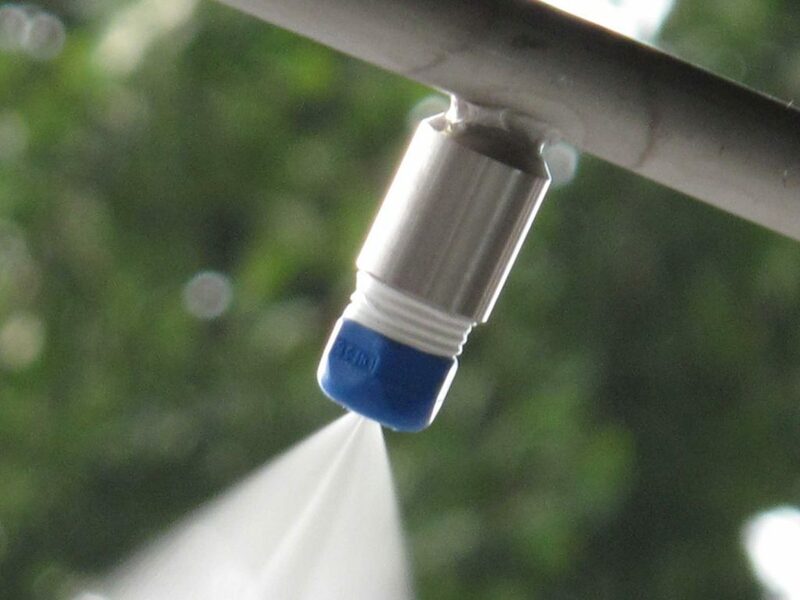 Our systems spray small water droplets in the air during and after the sanding process to suppress the dust. In addition, we increase the humidity to prevent dust adhesion. 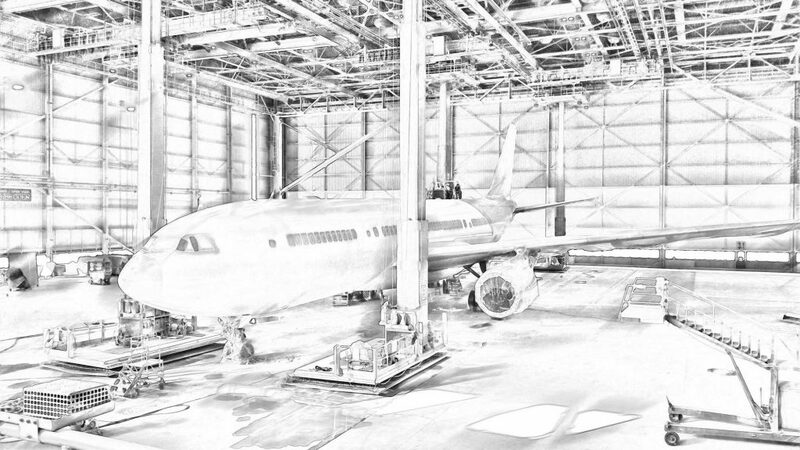 We offer customized solutions adapted to each hangar’s specifications: hangar size, air refreshment rate, air flow, existing installation (HVAC), local climate.